Sometimes the simplest things are the funnest. 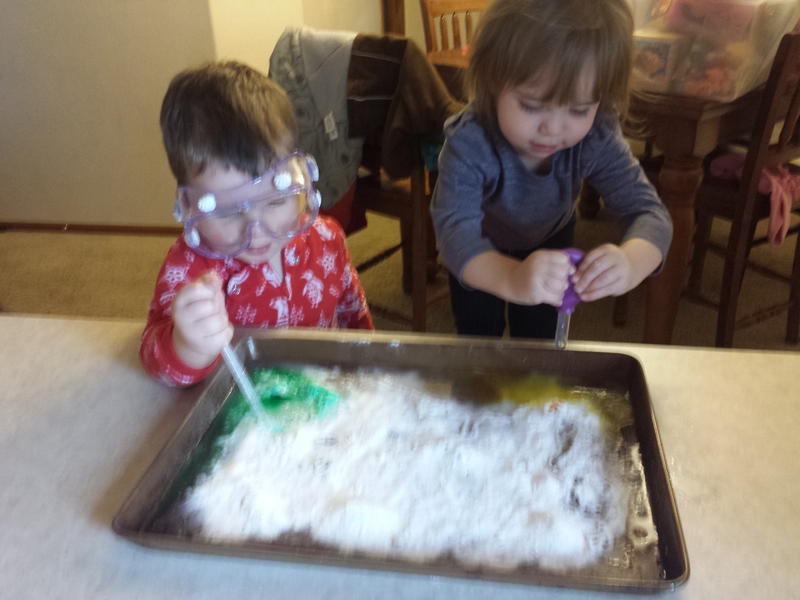 This rainy week we set out to use our new preschool science kits (found here) and started by exploring with baking soda and vinegar. 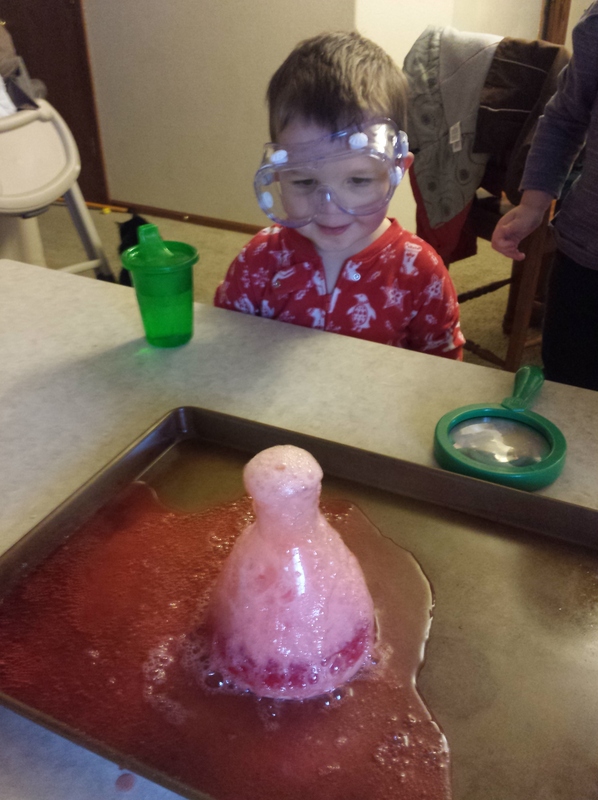 The kids really did enjoy watching it fizz over the test tube and seeing their red and blue volcano lava mix together to make purple. 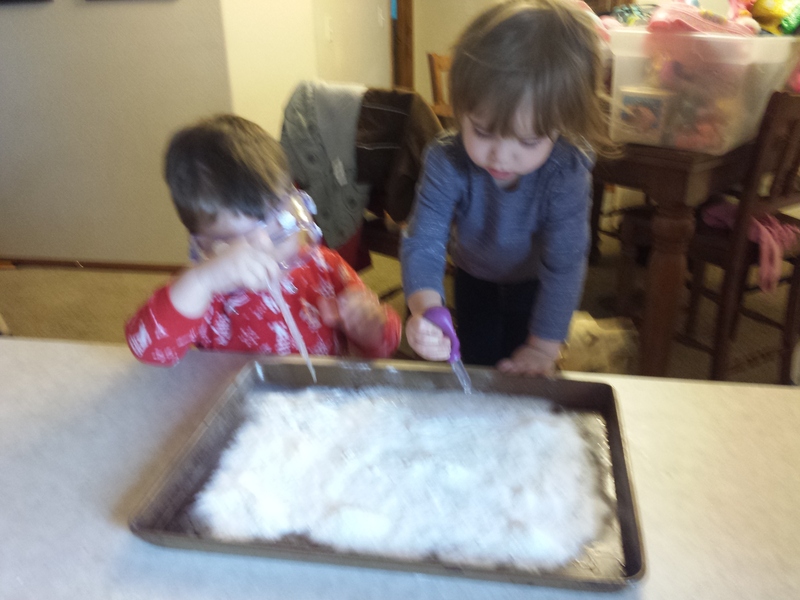 Our next project kept them busy for a good half hour. We all know that in 2 year old time that’s like an eternity. 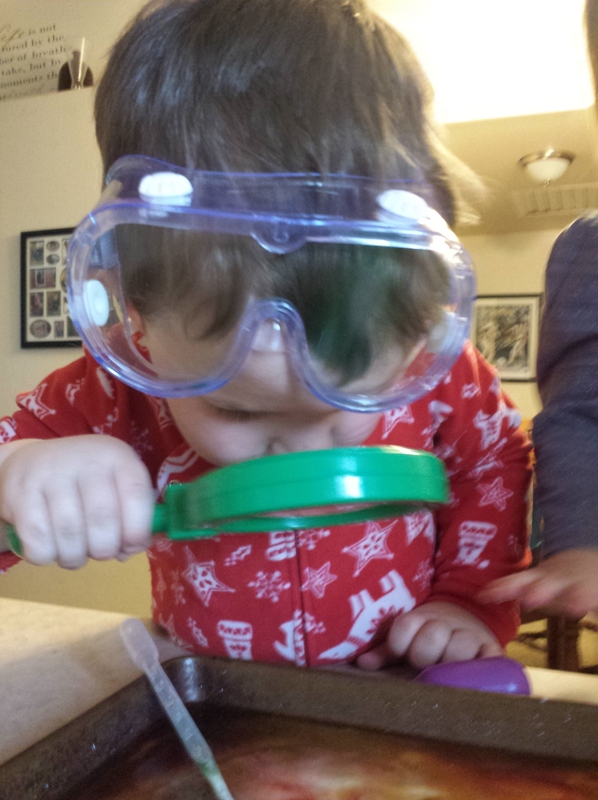 Drop food coloring onto the cookie sheet keeping colors separated, but consider color mixing combinations. 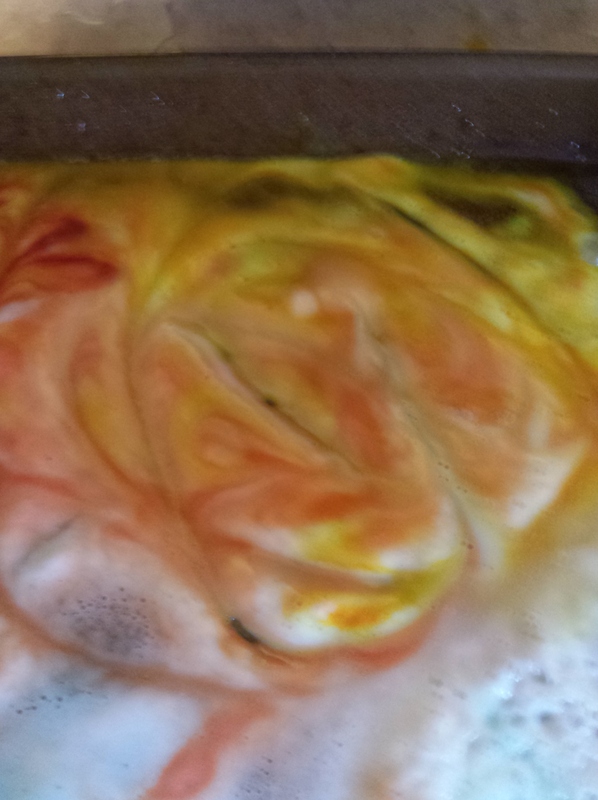 For example, I put yellow next to blue and another squirt of yellow by red. 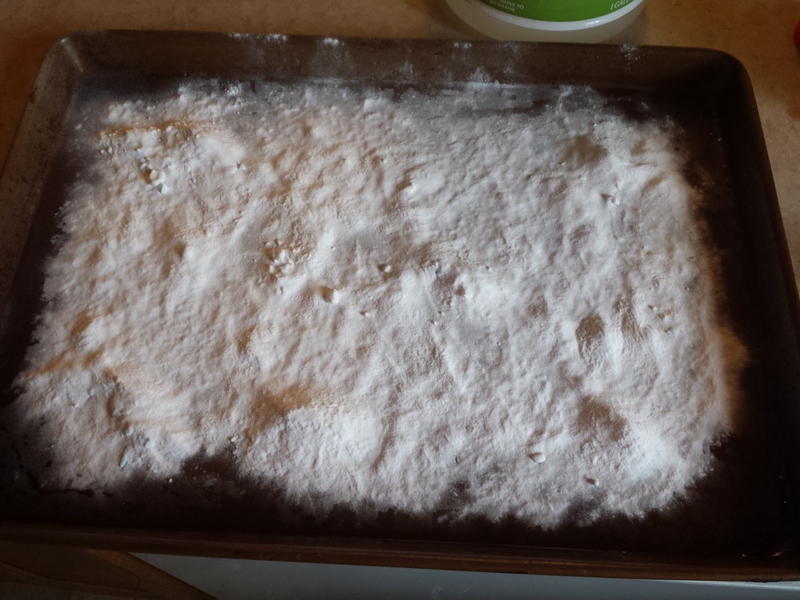 Please excuse our very well loved cookie sheet. 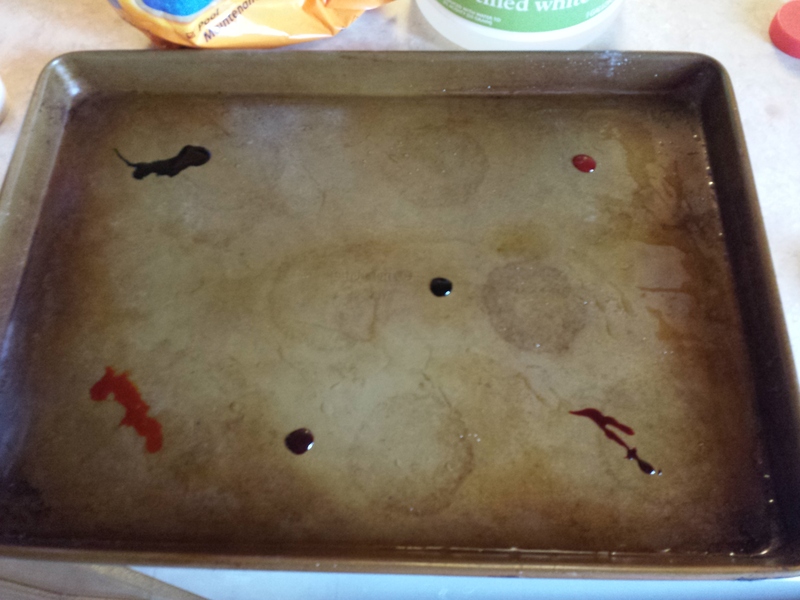 I added many more drops around the cookie sheet so that there would be lots of color. 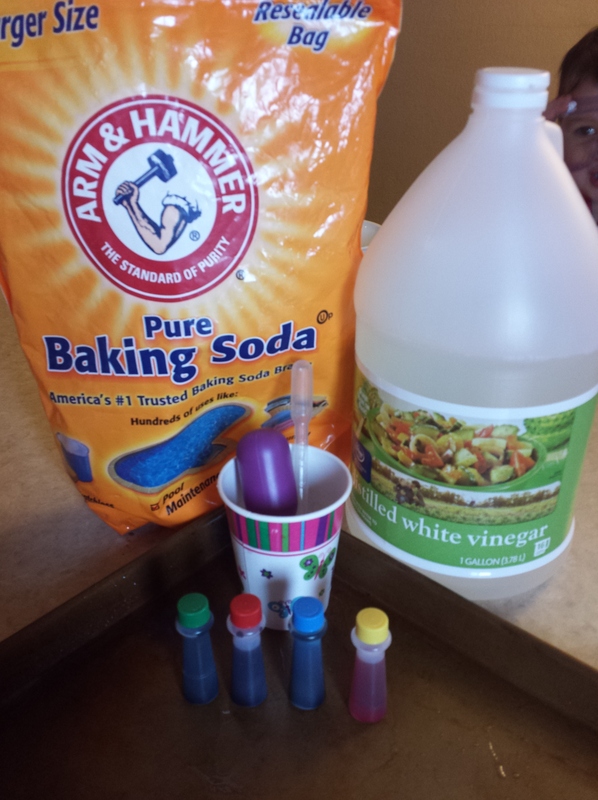 Next, cover the food coloring with baking soda. and blue and yellow made some fun green. 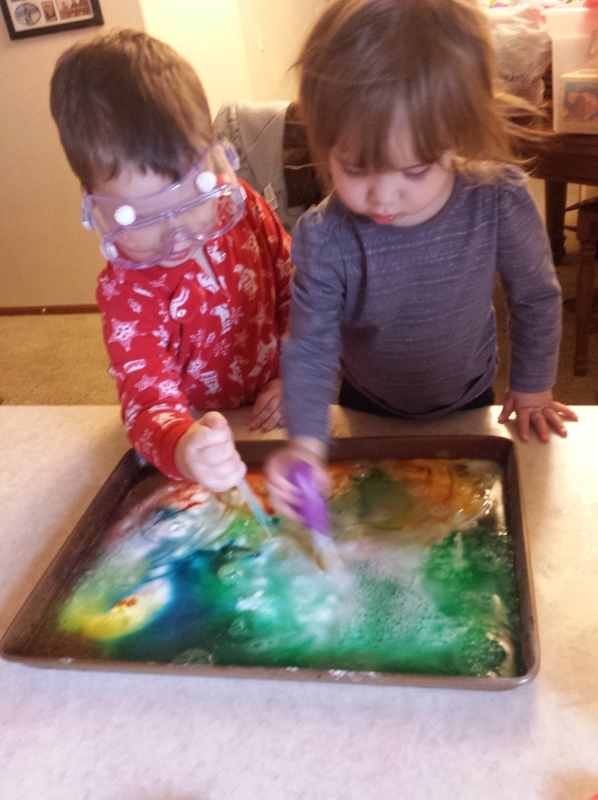 They loved using their magnifying glasses to look at the fizzing bubbles and swirling colors up close. Overall it was a great experiment in color mixing, they enjoyed sucking vinegar out of the cups and into the eye droppers, and they had a great time!